As I mentioned on an earlier post I was asked about doing a "Cluedo" Mansion, based on the old 5300 Victorian Mansion. Having already built a nine room house I knew this would end up being very big so I have decided to use a non Playmobil building as it is smaller and a better shape for what would be a 3D version of a classic board game. 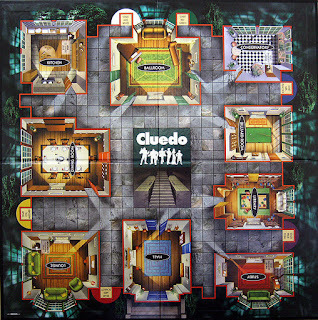 What makes this different to an ordinary mansion is there is no bedroom and bathroom on the board game. So this is a specially furnished house to match the game board. I've customised all the figures and given them each a murder weapon. Now for the mansion which I've painted and decorated with custom made wallpapers and flooring, and fully furnished throughout. I've put a Playmobil car in front of this grand hall to show how good a scale match this building is to Playmobil. As you can see below the back of the house is divided so it swings open to each side. This makes it perfect to have on display as it looks good closed up and still can be opened up to be played with. This is the Study with secret door behind the writing desk. 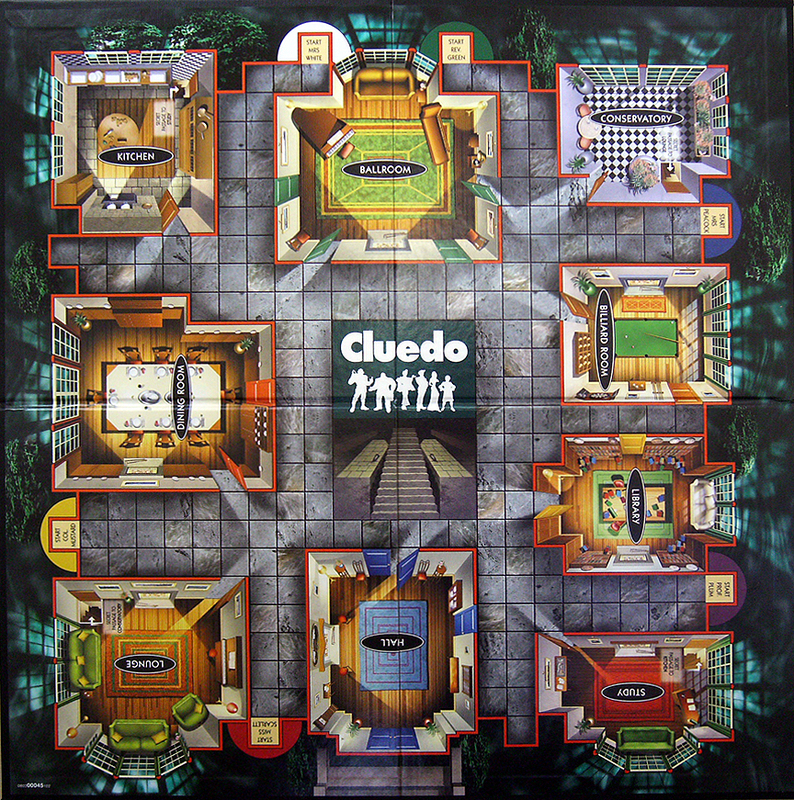 So this is the complete "Cluedo" Hall for everyone to have a look at. I've even got the original game to go with it so I can move my Klickies around as I play! I've scince been asked for a corpse and if it is possible to light up the Cluedo Hall. In the game the victim may have been killed by several methods, shot, hanged, bludgeoned or stabbed so to this end I have customised a klicky so it has all possible means of death but it's up to the player to discover the fatal "blow"
This is a picture of the house lit up in a dark room. Theses are very nice golden lights run from small batteries. I've added two more pictures below so you can see the same room in the daylight as well as at night. Is all of this stuff expensive to make, or buy? I am from Canada, and this would all be very hard to find and very expensive to buy?